We can learn a lot about a culture through its needlework traditions. 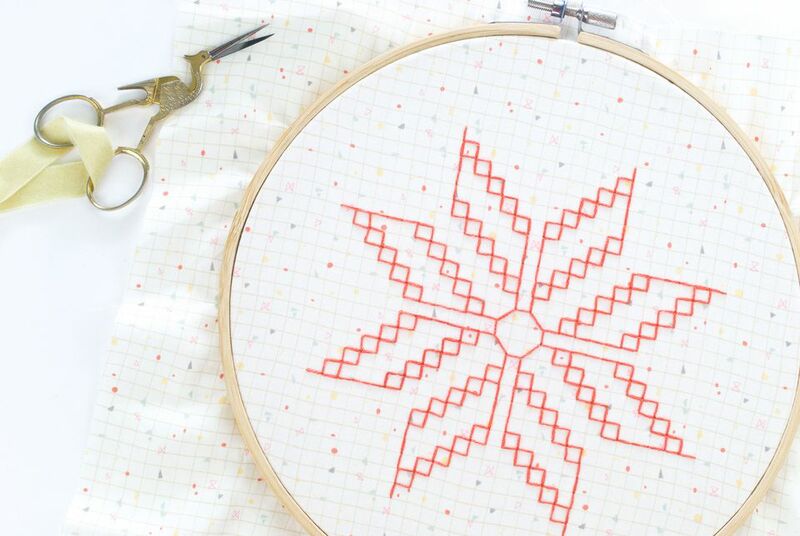 This list features free embroidery patterns based on traditional ethnic embroidery designs from around the world, but it's just a starting point. Once you explore these, you may just find yourself eager to learn about more cultural embroidery from many regions of the globe! 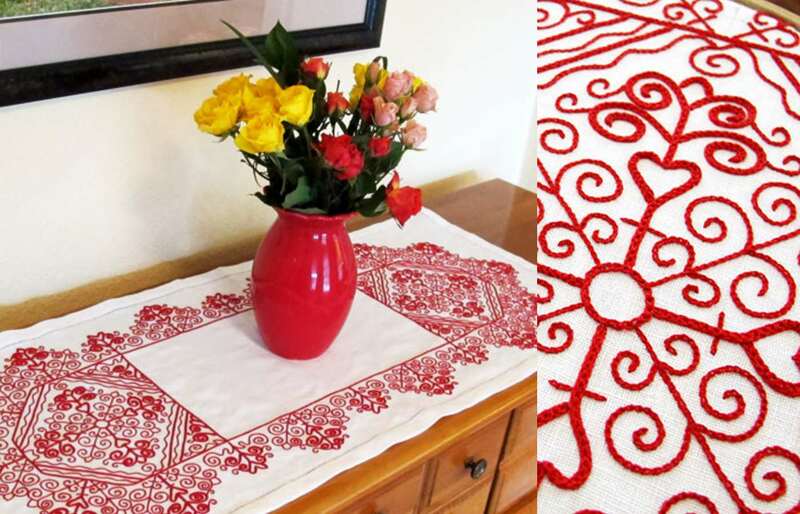 Hungarian embroidery is typically known for bold designs and bright colors, but Mary Corbet of Needle n' Thread shares this pattern for Hungarian redwork. It's worked with thick lines of Hungarian braided chain stitch, although you could certainly use a standard chain stitch if you're not ready to learn a new stitch. Kasuti embroidery, from the Karnatak region in India, follows a gridded pattern by counting threads or working on a marked grid. The designs can be simple or ornate, but once you learn the technique and practice with these free patterns, you'll be able to create your own beautiful embroidery. Online shop Siren sells traditional embroidered Mexican peasant blouses, but they also have a small collection of patterns so you can give this style of embroidery a try! There are three large motifs which can be used in different areas of a blouse, but they would also work well for embroidering more than clothing. Look at Mexican embroidery for color and stitch ideas, or choose your favorites to customize your look. Stitch this traditional Uzbek pattern and learn more about Central Asian Suzani embroidery. Here at The Spruce you'll find information on the history and methods used in this traditional form of embroidery, as well as a full-color pattern with tips for working the design. While Suzani were traditionally worked in yurma, a form of chain stitch done using a tambour hook, a standard chain stitch filling can easily be substituted. At first glance, Brazilian dimensional embroidery may look a lot like any other basic embroidery or perhaps stumpwork. But a closer look will reveal that this technique uses a variety of stitches that cause the embroidery to practically jump off the fabric. What makes this unique is that it's worked with Brazilian rayon throughout the designs, and the thread itself is twisted the opposite direction from most cotton threads so the stitches often need to be worked differently. Rosealie Wakefield-Millefiori walks you through many stitches and patterns, and The Brazilian Dimensional Embroidery International Guild is also a great resource. Formed with a simple version of running stitch, Japanese sashiko embroidery creates stunning patterns that can quickly fill an area. Here at The Spruce, you'll find several sets of sashiko patterns, both that repeat for large-scale designs as well as for making smaller motifs. Celtic knots are typically worked with rope, but they're also depicted in illustrations and jewelry. Shala from Don't Eat the Paste draws complex knots to be used as coloring pictures as well as embroidery patterns. Any of her designs could be stitched, and working with a thick line stitch or a chain stitch will work well, but those that are already formatted for embroidery will make your job all that much easier! In Sweden, one common type of embroidery is known as huck embroidery or huck weaving, and it's made by counting threads on specially designed fabric. Although this page of information and technique doesn't include any pattern charts, you'll quickly learn how to follow the photos or even create your own improvised patterns! Embroider One of These EGG-cellent Projects this Easter!